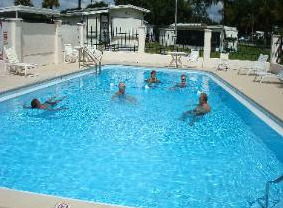 Landing Resort is an active 55+ RV community. Wide roads, concrete patios and grassy lots. 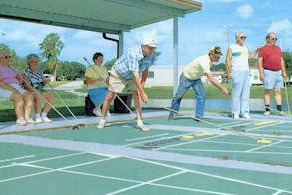 We offer a solar heated pool, billiards, laundry, shuffleboard and clubhouse activities. Close to area restaurants and attractions. 30/50 amp service and full hookups. Also have a line to send E-mail and make phone calls. Wi-Fi hot spot at the clubhouse. Telephones are available on each lot. Located less than 30 minutes from Tampa, just outside of picturesque Zephyrhills, Glen Haven is perfectly situated for the nature enthusiasts to enjoy the attractions at Hillsborough River State Park. 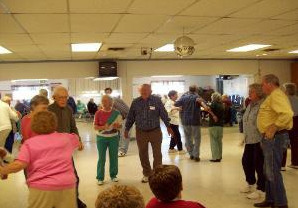 Glen Haven RV Resort caters to the 55+ crowd and offers an array of activities including aquatic exercise classes at the heated pool, shuffleboard, bocce ball and horseshoes. Visit us for 1 night or plan a full vacation stay at Leisure Days. Amenities include full hookups, rec hall, winter activities, pet section for 1 pet (30 lbs. or less), heated pool, showers and propane. 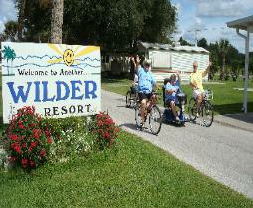 Horseback riding, fishing and bike trails nearby. 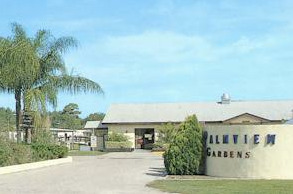 Leisure Days RV Resort is a very friendly park and newcomers are always welcomed with open arms. You will love it here at Leisure Days! Our in-ground pool is clean and gigantic! At 70' x 30', you’ll be sure to have enough room for fun and excercise. Sun yourself and relax in our poolside lounge chairs in the warm Florida sun.